Kalanchoe (Bryophyllum pinnatum) plants produce some of the most striking yet dainty flowers of any plant available. Pronunciation of the plant’s name varies, but one of the most popular ways of pronouncing this plant’s name is KAL- ANN- KO. Whether you buy your kalanchoe plant or are given one for a special occasion, these thick-leafed succulents are a pleasure to grow. There are about 125 species of Kalanchoe, some that grow wild in hot climates of the world such as Madagascar. They make beautiful house plants. This plant is widely used in India to cure liver disorders. It grows as a weed in Thailand, Philippines Islands, Australia, South America and tropical Africa where local tribes and natives have been using this plant for generations. 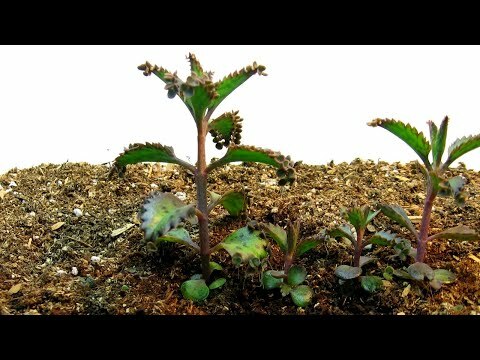 Now there are findings that indicate kalanchoe would be useful for diabetus treatment diabetus treatment. There have also been noted potential cancer chemopreventive bufadienolides as well as many other active agents that are of interest to medicine. Please consult a certified expert before you use the leaves and juice of the kalanchoe as a medicine. It is important to know if your organism is going to react positively to this herb before you try any quick remedies. Kalanchoes come in a plethora of bright colors such as orange, red, yellow, pink and a combination of these colors. Because they are succulents, they are grown in a similar way as a cactus is grown. Here are a few of the often asked questions about how to cultivate the Kalanchoe. Should I Grow My Kalanchoe Indoors or Outdoors? The answer to that question is “yes.” If you live in a warm enough climate, your kalanchoe will do fine outside in a pot. Gardeners in Southern Florida enjoy growing their kalanchoes. You must be careful when growing your kalanchoe outdoors because it doesn’t tolerate temperatures under 45 degrees F. For convenience’s sake, you will probably want to grow your plant in patio pots outdoors and bring them in at the first sign of cooler weather. If you don’t want to bother taking your plants in and out, grow your kalanchoe indoors or in a greenhouse. Kalanchoes make lovely splashes of color for your home as a house plant. They prefer sunny locations that stay warm during both the day and night. Don’t overwater your kalanchoe plant, but let the soil become thoroughly dry before watering your plant. How do I care for my Kalanchoe? To have the blooms pinched back when they start to fade. To have the leggy growth removed to keep them looking healthy and to preserve the plant’s strength for blooming. To have the soil in their pots become dry before watering. Is Kalanchoe poisonous to dogs and cats? This plant is poisonous to both dogs and cats, according to the ASPCA. Be sure to put your kalanchoe in a spot where it is out of reach of pets and small children. This location includes removing debris from the plant that might accidentally become ingested. How do I get my Kalanchoe to bloom? One of the most frequently asked questions about kalanchoes remains “How do I get my kalanchoe to bloom?” If you have your kalanchoe in the right spot, you may get blooms without any action on your part in October and March. But in many cases, you will need to adjust the lighting and temperature to get your plant to bloom again. You need to simulate winter for the kalanchoe kalanchoe to bloom. To encourage the plant to bloom, you will need to store the plant in a dark place like a closet or dimly lit area for most 12 to 14 hours per day for about six weeks. The plant can be put in the light during the morning, and then placed in darkness for the remainder of the day and through the night. Also, kalanchoes need to be in a cooler climate during this six week period to simulate winter conditions and promote blooms. The ideal temperature to promote kalanchoe bloom is between 45-60 degrees. Once the plant begins to bloom again, you can put it on display, give it plenty of sun and water the plant when it becomes dry. Kalanchoe plants are pretty even when not in bloom. They also produce a large number of lovely flowers to grace your environment both indoors and outdoors. Grow kalanchoes in a sunny spot in your home or garden to enjoy the benefits of these brightly colored plants today.